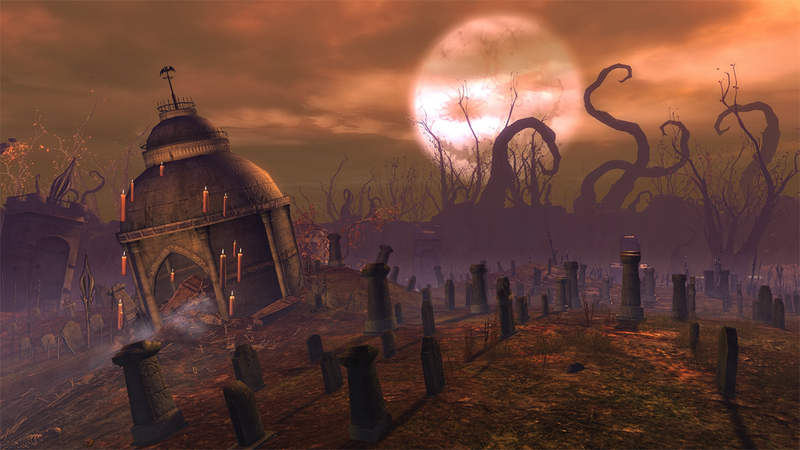 From October 16 through November 6, King Oswald Thorn’s cruel laughter will fill the air as Halloween returns to Tyria! Play wicked games, tackle the Mad King’s Clock Tower, go trick-or-treating in the labyrinth, and more. Are you brave enough to venture into the field? Reaper’s Rumble is back—and you can introduce your roller beetle to the joys of Halloween at the Mad King’s Raceway. Click here to download an asset kit full of screenshots and art from the upcoming release. If you’re dressing up for the holidays in game, head over to Twitter and share screenshots of your costume using the #GW2CostumeParty hashtag!